The worst enemy of human hope is not brute facts, but men of brains who will not face them. 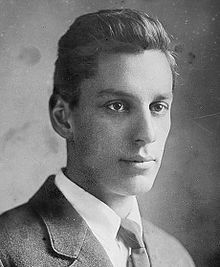 Max Forrester Eastman (January 4, 1883 – March 25, 1969) was an American writer on literature, philosophy and society; a poet, and a prominent political activist. Hegelism is like a mental disease—you cannot know what it is until you get it, and then you can't know because you've got it. Marxists profess to reject religion in favor of science, but they cherish a belief that the external universe is evolving with reliable, if not divine, necessity in exactly the direction in which they want to go. An armed seizure of power by a highly organized minority party, whether in the name of the Dictatorship of the Proletariat, the Glory of Rome, the Supremacy of the Nordics, or any other slogan that may be invented, and no matter how ingeniously integrated with the masses of the population, will normally lead to the totalitarian state. 'Totalitarian state' is merely the modern name for tyranny. A false and undeliberated conception of what man is lies at the bottom, I think, of the whole bubble-castle of socialist theory. Although few seem to realize it, Marxism rests on the romantic notion of Rousseau that nature endows men with the qualities necessary to be a free, equal, fraternal, family-like living together, and our sole problem is to fix up the external conditions. All Marx did about this with his dialectical philosophy was to change the tenses in the romance: Nature will endow men with the qualities as soon as the conditions are fixed up. Libertarians used to tell us that ‘the love of freedom is the strongest of political motives,’ but recent events have taught us the extravagance of this opinion. The ‘herd-instinct’ and the yearning for paternal authority are often as strong. Indeed the tendency of men to gang up under a leader and submit to his will is of all political traits the best attested by history. It has been so shockingly exemplified in modem times that only a somnambulist could ignore it in trying to build, or defend, a free society. His first concern should be to make sure that no one gang or group-neither the proletariat, nor the capitalists, nor the landowners, no the bankers, nor the army, nor the church, nor the government itself-shall have exclusive power. It was natural that idealistic people who had ceased to believe in heaven should think up some bright hope for humanity on earth. That, I think, more than any objection to "capitalism", accounts for the spread of the socialist dream, especially in Anglo-Saxon countries. More goods and fewer people is the slogan I should like to see carried at the head of humanity's march into the future. I still think the worst enemy of human hope is not brute facts, but men of brains who will not face them. The backers of Hitler in Germany made the same mistake about the Nazi party that the workers and soldiers in Petrograd made about the Bolshevik party. Each group believed that this new brutal, rabid, monolithic fighting gang, on achieving power, would promote, as had been promised, its enlightened interests.